It was early May and, although the Major League Baseball season was barely a month old, the St. Louis Cardinals were running roughshod over the rest of the league, jumping out to a 21-7 record as they flew into Pittsburgh to play the scrappy Pirates. The Cards took the first game but dropped the next two, falling to 22-9 on the season. After the third game, a close 4-3 loss to the Bucs, Cardinals manager Mike Matheny took questions from the press. “Mike, if someone would have told you that it would be May before you lost a series to another team, would you have been happy with that?” asked a reporter at the post-game press conference. And, with each passing game during the 2015 season, it became more and more apparent that it was going to be a great year for the Cardinals as they compiled the best record in baseball and the only team to reach 100 victories (100 wins, 62 losses). They fell short in the playoffs, though, against division rival, the Chicago Cubs (who finished three games behind the Cardinals with 97 wins and had the third best record in baseball behind the Pirates, who had 98 wins). 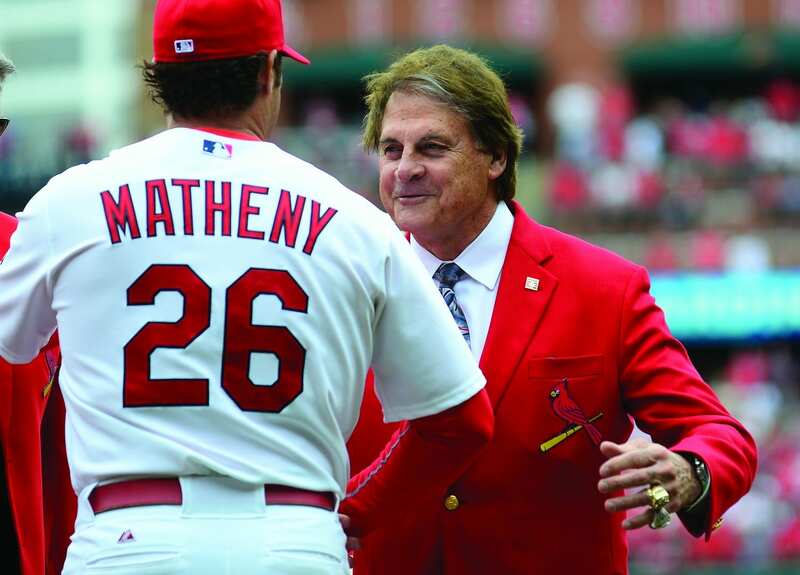 After the 2011 season, when long-time manager Tony La Russa retired, many in Cardinal Nation were concerned that a manager of La Russa’s caliber could not be replaced so easily. After all, La Russa had proven himself to be one of the game’s greatest tacticians and few doubted that he was on his way to Cooperstown. But, at the beginning of 2012, a new face was in the Cardinals’ manager’s office, and while it might not have been familiar to many casual baseball fans, it was a face the Cardinals knew and trusted. So far, the formula has proven to be successful. The former major league catcher, who was hired by the Cardinals with no professional experience as a manager, has led St. Louis to at least 88 wins in each of his first four seasons at the helm and has also led the franchise to the National League Pennant in 2013. 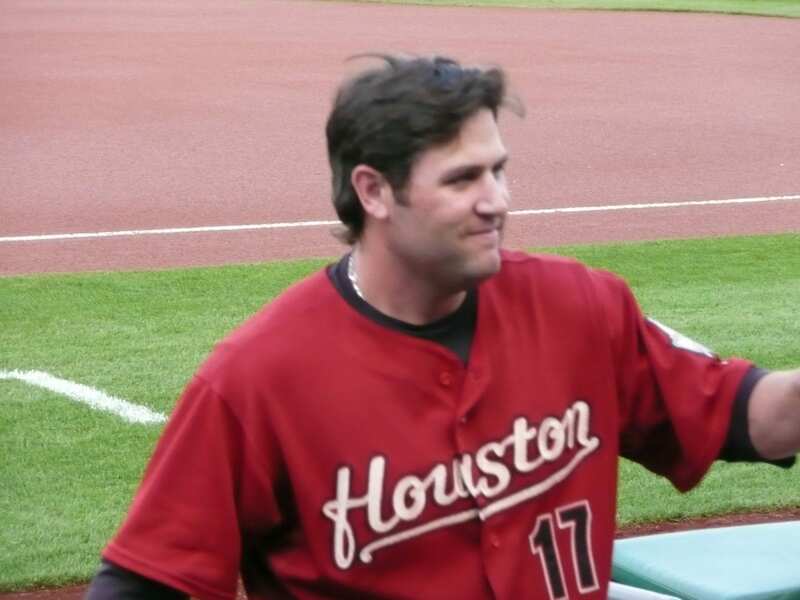 He played for four teams during his major league career—Milwaukee (1994-1998), Toronto (1999), St. Louis (2000-2004) and San Francisco (2005-2006). 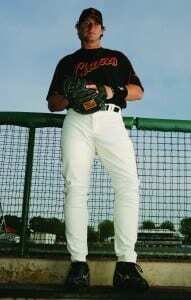 Along the way, he won four Rawlings Gold Glove Awards and established major league records among catchers for consecutive games played without committing an error (252) and consecutive chances fielded without an error (1,565). He is also one of only three major league catchers with an errorless season of at least 100 games and set a Giants single-season, team record in 2005 for catcher’s fielding percentage at .999. 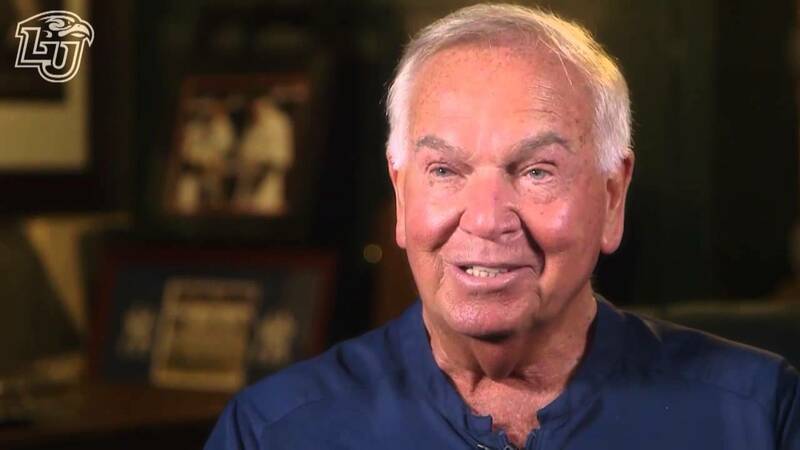 He retired from playing because of persisting concussion symptoms and has since become an advocate for concussion prevention and improved catcher safety. If there is anything striking about the quiet, no-nonsense Matheny, it is his sense of routine and discipline. In Pittsburgh, when his Cardinals visited the Pirates in May, Matheny seemed to have a stricter pre-game regime than most of his players. 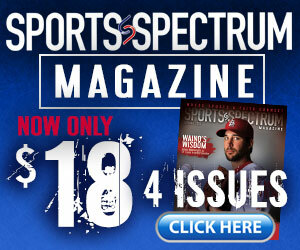 Get to the park, hit the weight room, meet with the media from 5 p.m. to 5:15 p.m. in the Cardinal dugout. Then throw batting practice from 5:15 p.m. to 5:30 p.m., watch the rest of BP from the field, get back to dugout, visit with a few coaches and players. Game starts. Game ends. Hit the shower. Go back to hotel. Stir and repeat for 162 games. Of course, that’s not the exact schedule, but you get the idea. “It’s been great playing for Mike,” said Cardinals pitcher John Lackey. “Since he was a good player himself and played a long time in the league, I think he understands the player’s perspective pretty well and is just an easy guy to play for. Catchers, for whatever reason, make very good managers. They seem to know both sides of the game and know how to handle pitchers. Mike’s preparation and his ability to lead from the bench is very good. Matheny also doesn’t seem to enjoy wasting a lot of time on things that don’t pertain to the game. 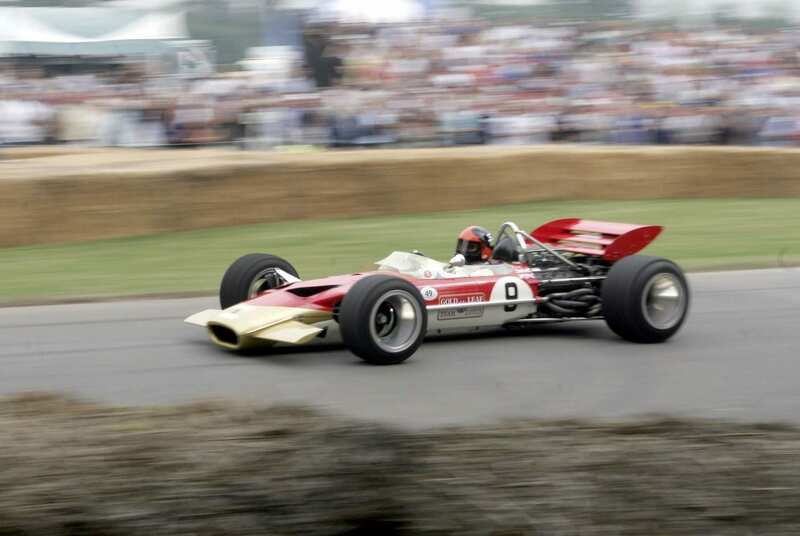 In fact, he was quick to add that one of the biggest challenges he faces as a manager is dealing with all the technological distractions of the modern age. But Matheny was quick to add that all this new technology hasn’t been totally bad for the game. 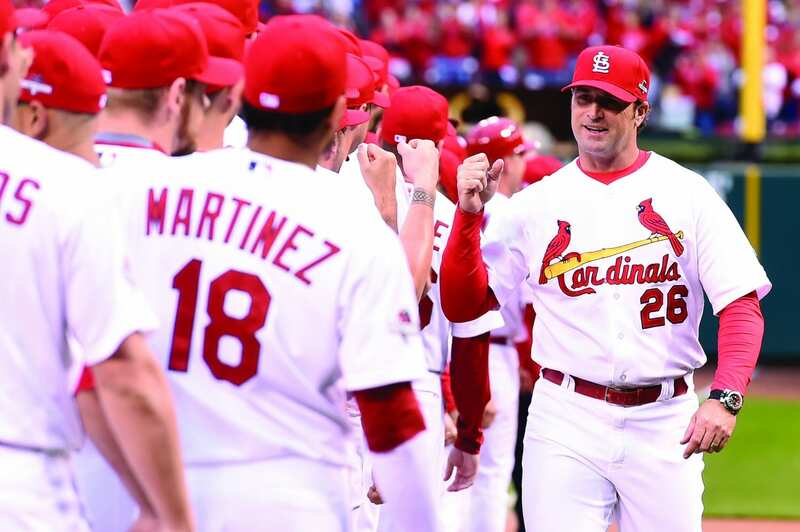 While all the new technology and strong influence of pop culture has made managing players at any level a challenge, Matheny is a strong Christian who says he got his priorities straight at an early age. “I was fortunate in that I was raised in a strong Christian home where my parents surrounded us with great examples of what it should look like to live out the Christian life,” he said. “And, like a lot of kids, I found myself almost religious at a young age. But then I got really convicted at one point, and I will never forget that day. It was a revival at an Independent Baptist church and we had a guest preacher who came in and started pounding on his Bible and he really called us all out, even the people who had been there a long time and who were there twice every Sunday and on Wednesday night, and he called us out to who we were in our own faith and who Christ was to us. In college, his faith was tested in a world of academia where the Gospel of Christ is often considered foolishness to those on the outside. But Matheny said that, the more his professors or college classmates would try to disprove the validity of Christianity, the more his faith grew. Matheny said that, when you think about it, his job is really no different than any other guy who is on the road a lot. And, no matter what profession you are in—whether you are a major league manager or a salesman traveling around the country or anything else—you still have to have people who will hold you accountable in your Christian walk. 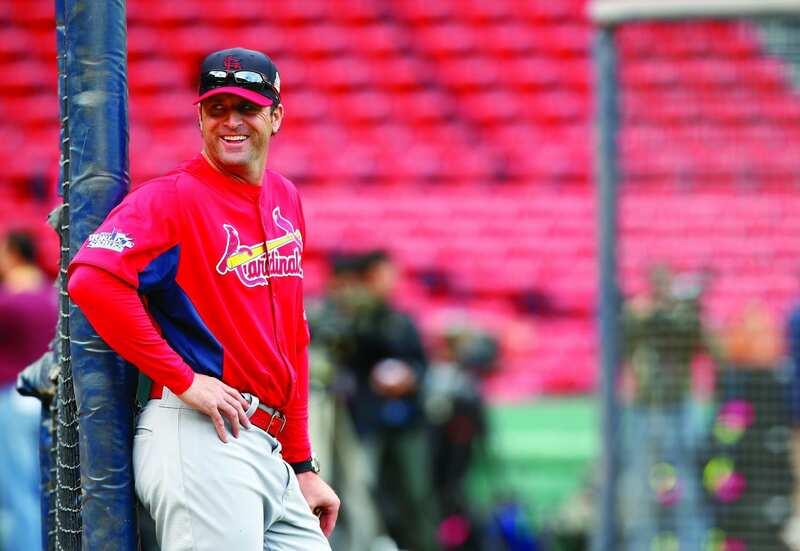 “It’s just like with anybody who travels a lot,” Matheny said. “You’re away from your home, your family, your church, your wife and your kids. And that’s not necessarily where I want to be. I want to be with them as much as I can but, with the life I have chosen, I just can’t do that as much as I want to. 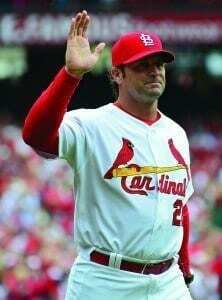 Matheny added that he also feels the need to share the Gospel of Christ whenever he gets the opportunity. Jim Gibbs is a freelance writer from Dallas. He can be reached at gibbsjim@gmail.com. This story was published in Sports Spectrum’s Winter 2016 print magazine.